To know a bit more about your family heritage can only enhance any individual. 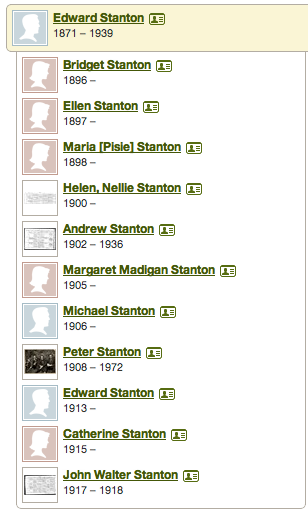 The Stanton family from Westport in County Mayo in Ireland were certainly no exception to this rule. WHEN Pat Stanton is today presented by Cardinal Keith O’Brien with the first trophy ever won by Hibernian, he will be holding the same handsome piece of silverware proudly paraded round the streets of the Cowgate by his great, great uncle Michael Whelahan in the 19th century. The original Edinburgh Cup has nestled snugly in historic St Patrick’s Church since Hibs took permanent custody of it as three-time winners in 1881, but this afternoon it will be welcomed into a new home from home when it is handed over to the club during half-time of the match against Aberdeen. The marriage between two indiduals from each of these families would make history and ask any Hibs supporter and they will recall both families with much fondness. The roots of the two families are linked by County Mayo on the very beautiful West Coast of Ireland and her neighbouring County of Rosscommon. 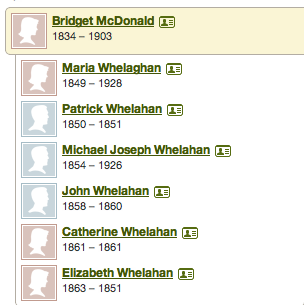 We find Patrick Whelahan who was born in 1795 in Kinglass in Ireland. and he died in 1877 in South Africa. He married Annie Coyne and they had at least six children and probably many more. 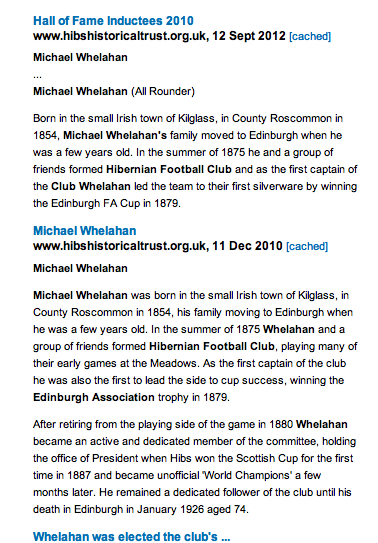 Our connected line however was Michael Joseph Whelahan who was born in Rosscommon and who died in Edinburgh in 1926. 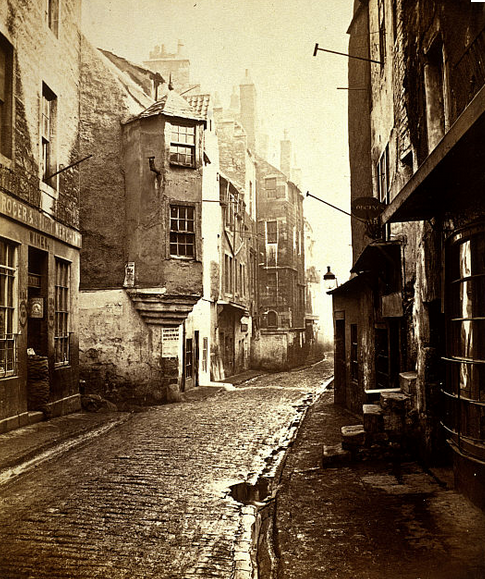 The old slums of the Cowgate. 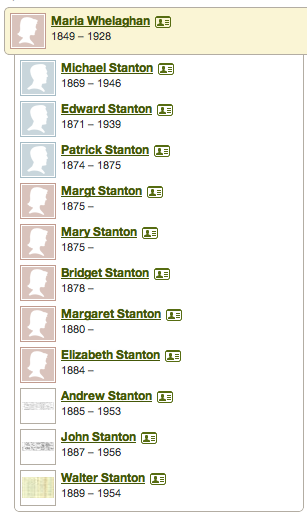 It was also their daughter Maria who married into the Stanton clan. Michael married Helen Isabella Robertson in the old St. Patrick’s church in the Cowgate which was becoming the meeting point for the Irish immigrants who lived in the squalor of the old town at that time. The meeting voted unanimously in favour of the proposal with such infectious enthusiasm that Father Hannan agreed to assist Michael Whelahan in making all the necessary arrangements for the football club to become a reality. 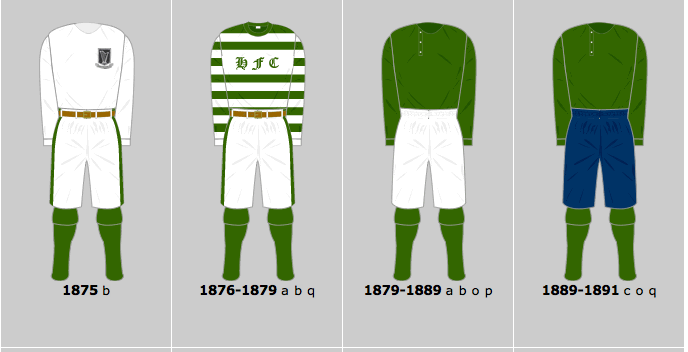 The next thing to consider, was the football club’s colours, crest, motto and of course name. For Irish nationalists, the first three were easy. The colours would be green, the crest would be the Harp and the motto the Gaelic Erin Go Bragh (Ireland for Ever). Giving St. Patrick’s CYMS football club a name, however, proved much more difficult, and protracted discussions were entered into. Father Hannan proposed the obvious name, the Catholic Young Men’s Society Football Club, and although appropriate, it was generally agreed it was just too long‑winded. St. Patrick’s F.C. was thought to be disrespectful to Ireland’s patron saint, and other suggestions that were rejected included Harp, Shamrock, Emerald and Celtic. The Club was almost named Young Ireland, but Michael Whelahan asked for more time to think about it, since his enthusiasm for the football club dictated that it should have a very special name. Michael went to St. Patrick’s Church to pray for inspiration and it was there he remembered that the fiercely Catholic Ancient Order of Hibernian’s secret society had been absorbed into the CYMS many years before. Hibernian was the old Roman Latin word for Irishman. 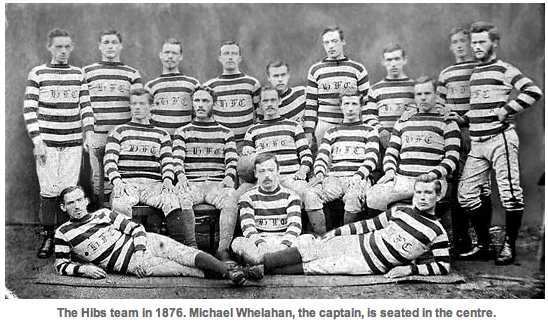 There and then, the Hibernian Football Club was born, the Edinburgh Irishmen. Michael Whelahan was born in Kilglass, Co. Rosscommon, Ireland, in 1854. 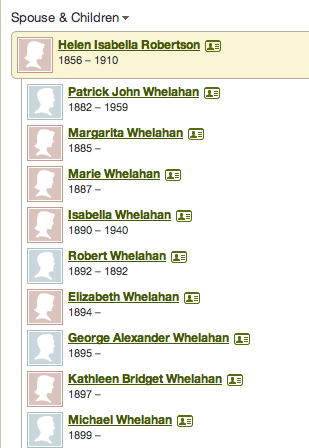 The Whelahan family was typical among those living in the Western province of Connaught at that time. They scratched a meager existence from the soil. The great famine had traumatic effects on peasant families like the Whelahans, as their communities were decimated and their folk customs, pastimes and Gaelic language lapsed with the increased need to speak English. 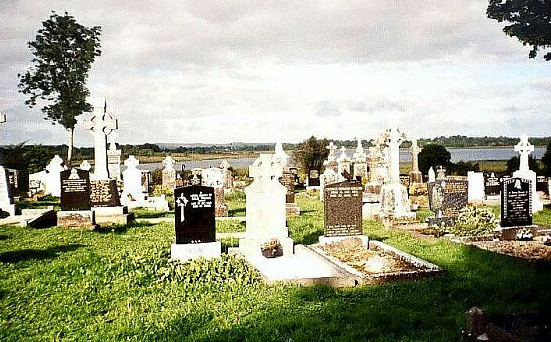 Like over a million others in their position, the only option for the Whelahan family was to emigrate, or rather be exiled, as they had no wish to leave Ireland. They made their way to Edinburgh where a relative was already living. They put together enough pennies for the ferry to Glasgow but had to walk from there to Edinburgh. 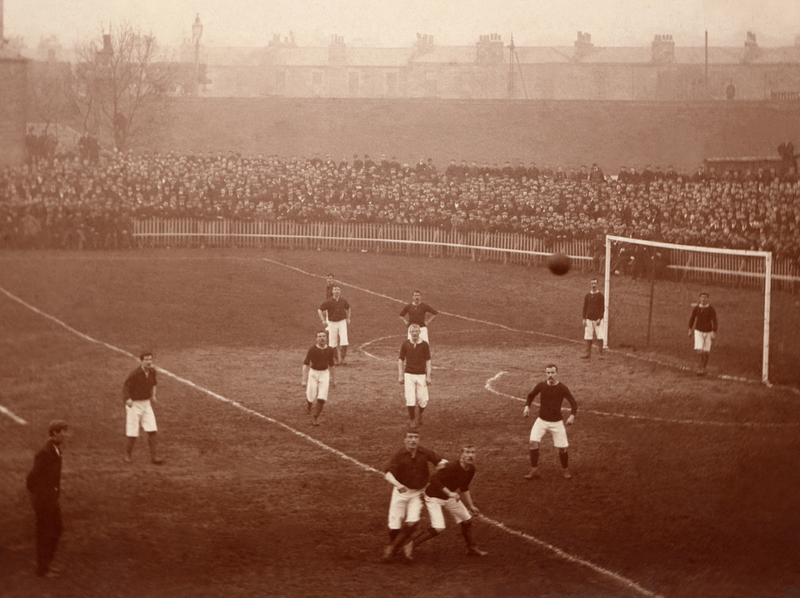 In the spring of 1875, Michael Whelahan and two of his friends from St. Patrick s CYMS were watching the increasingly popular game of football being played on Edinburgh’s Meadows. Michael’s friends, Malachy Byrne and Andy Hughes, had already played a couple of games for a street team called White Star but this did not last long when it was discovered they were Irish Catholics. It was as Michael Whelahan watched the exciting football scene before him that he resolved that the CYMS should have their own football club instead of standing on the sidelines as was they usually did. Father Hannan held the key of course, as he had to endorse all their activities, ensuring that they were appropriate. Michael decided to speak to the popular priest. Father Hannan listened to Michael Whelahan’s idea with great interest, as sporting recreation had always been a cornerstone of his vision of developing fully rounded and worthy citizens from Little Ireland. He was well aware of the popularity of football and promised Michael that he would enquire about it’s organisation both locally and nationally. 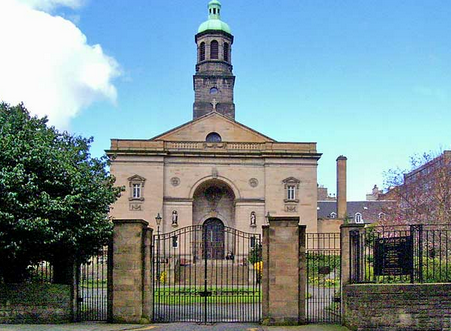 Father Hannan’s inquiries were favourable, and so it was decided that he and Michael would put forward the proposal to form a football club at the next full meeting of the CYMS in St. Mary’s Street Halls, to see if it was carried democraticallyThe meeting voted unanimously in favour of the proposal with such infectious enthusiasm that Father Hannan agreed to assist Michael Whelahan in making all the necessary arrangements for the football club to become a reality. Hibernian was the old Roman Latin word for Irishman. 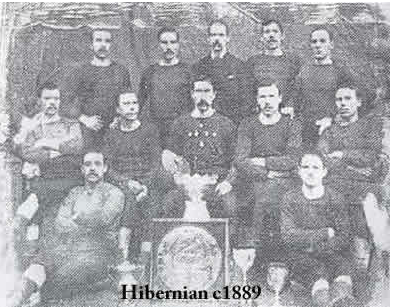 There and then, the Hibernian Football Club was born, the Edinburgh Irishmen.The meeting voted unanimously in favour of the proposal with such infectious enthusiasm that Father Hannan agreed to assist Michael Whelahan in making all the necessary arrangements for the football club to become a reality. 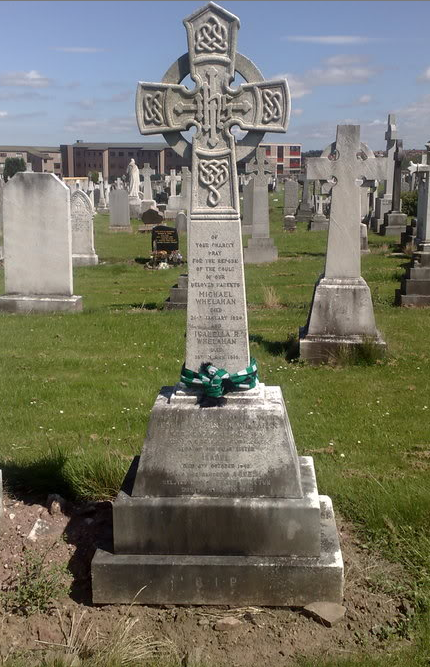 On 20th August 2006, the connection between Hibs and St Patrick’s was marked when the newly refurbished monument to Canon Hannan was blessed and rededicated in a special ceremony in The Grange cemetery, Edinburgh. The monument was refurbished by the Hibernian Historical Trust. Mr Pat Stanton of Hibs FC welcomed all assembled and Tom O’Malley gave historical background. The blessing was performed by Fr Ed Hone CSsR, priest in charge of St Patrick’s, and Rev Mitchell Bunting, of Augustine United Church. The grave of Michael Whelahan in Mount Vernon, Edinburgh, Scotland. The stories about Maria and Andrew are remembered to this day. Their descendants still talk about the times when she would wash the footballers socks and strips. The children of Maria Whelahan and Andrew Stanton.